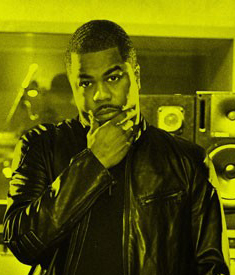 Hip-hop would not be where it is today without Just Blaze. Recently his collaboration record with Baauer, ‘Higher’ blew up across the world, but the New Jersey producer has been an firm favorite for hip-hop A-list for over a decade. Over the past 15 years, Just Blaze has become a fixture in Hip Hop music and culture. He began producing for well-known artists in the late 1990s, leading to a breakout role in producing the majority of Jay-Z’s “The Dynasty: Roc La Familia” and his follow-up opus “The Blueprint”. He’s reached international fame for his production of Cam’ron’s 2002 summer smash “Oh Boy”. Since then, he’s gone on to produce for Snoop Dogg, Usher, Mariah Carey, Kanye West, Talib Kweli, Busta Rhymes, Rick Ross, Drake, and many more. Between producing five tracks on Eminem’s Grammy-winning comeback album “Recovery”, hosting Viacom’s DJ competition show “Master of the Mix”, upcoming projects with Ludacris, Fabolous, Jay-Z, and creating soundscapes for Twentieth Century Fox’s “Ice Age 4″, Just shows no sign of slowing down anytime soon.